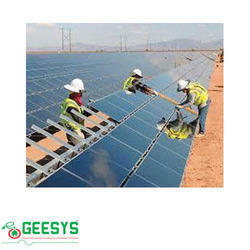 Being as a reckoned name of this area, we are involved in rendering Solar Plant Maintenance Service to our customers. Furthermore, we render this service at reasonable costs. Our service is broadly used by clientele for solar plant maintenance. To complete this service, our firm appointed an expert’s team who render this service within preset time frame. Manual Cleaning & Annual Maintenance of solar power plant. We are Service Provider of Solar Product AMC Service. This service is rendered by a dexterous team of professionals keeping in mind the specific needs of our clients. 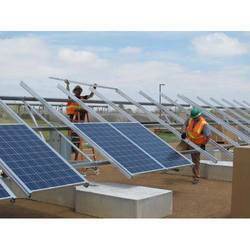 We are offering wide range of Solar Power Plant Maintenance Service. Our technical experts are highly professional and efficient in offering these services. These are available as per the customer requirements. To meet the demands of our customers, we are able to offer the Power Plant Maintenance Services as per the requirements of our customers. For more details kindly contact us. We have been counted amongst the most trusted names in this domain, engaged in providing Solar Power Plant Maintenance Service.